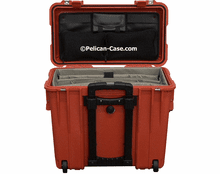 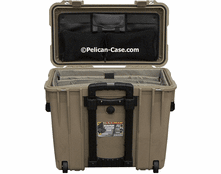 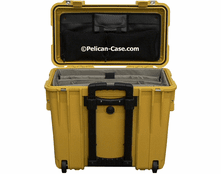 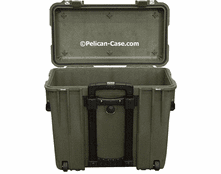 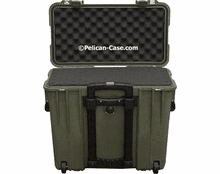 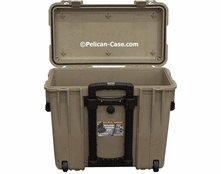 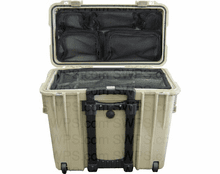 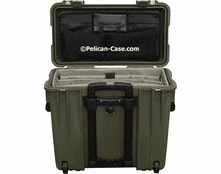 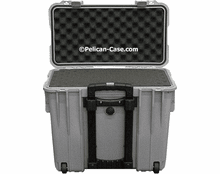 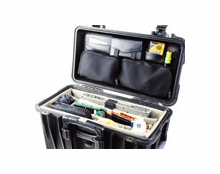 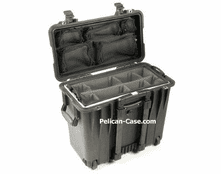 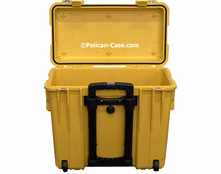 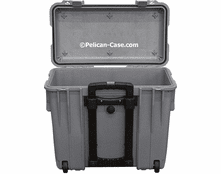 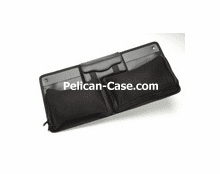 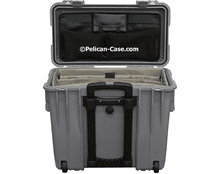 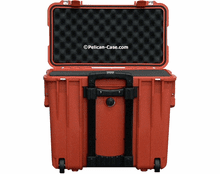 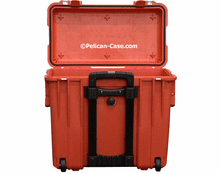 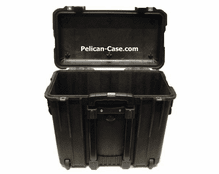 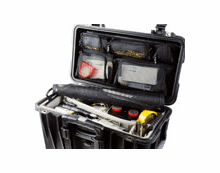 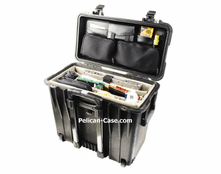 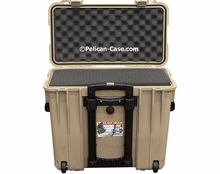 The 1440 Top-Loader Case from Pelican is the way to go. 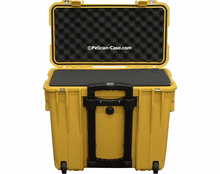 Smooth rolling, quiet polyurethane wheels and a retractable handle offer the mobility of our 1510 Case in a top-loader design that shows you everything at a glance. Optional padded divider and lid organizer solutions help you customize the interior to safely transport anything from laptops to communication gear. 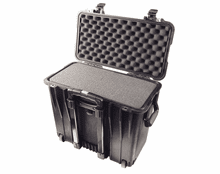 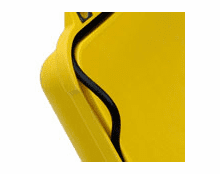 The 1440 is equipped with a polymer o-ring that prevents dust and water ingress, and the Gore-Tex® pressure equalization valve prevents “vacuum-lock” so the case opens easily.